THIM Review: A Device for a Better Sleep! If you've been trying to improve your quality of sleep, like so many of us, then you've come across a sleep ring or two along the way. The THIM smart ring is a unique sleep tracker, compared to other similar options, because it's designed to condition you to sleep better. While it also tracks your data so you can see your progress and compare it over time, THIM specifically uses a sleep conditioning technique that's been used by sleep centers for years. The use of this technique allows the ring to do what it was designed to do—condition your body to develop healthy sleep habits that'll keep you on track and help you get a better quality of sleep. The THIM smart device is a wearable ring that helps you condition your body to fall asleep and helps you nap efficiently. If you have insomnia or another sleep issue, THIM was inspired by methods used by sleep clinics for years and was designed to improve your sleep through your behavior. When you're ready for bed, all you do is slip the THIM band on your finger and let it do its thing. Once you have it on, it will wake you several times during the first hour and tracks your sleep for the rest of the night. Doing this, according to THIM—and several studies we will discuss in a minute—these “sleep trials” it conducts during the first hour will train your body to fall asleep quickly and easily in the long run. So, how does THIM's sleep conditioning method help you train your body to sleep better and improve your quality of sleep? Well, let's take a look at the following to studies to understand it better. The first study we will look at began concluded a little over a decade ago, and they specifically focused on whether sleep retraining would effectively treat people with Insomnia—and if you, or anyone you know, suffers from Insomnia you know just how difficult it can be to treat. This study had people, just like you and me, undergo a single night of sleep trials—like those the THIM provides--and it had them track their response before, after, and post 6 weeks. Those involved in the study reported their daily mental and physical performance improved, and they were able to fall asleep on their own a lot easier. The first study ties in with the next one because they both reaffirm each other—which is why we chose to discuss these. The second study took it a step further and compared the sleep retraining process to other ways of treating Insomnia. As someone who has sleep issues, and maybe even Insomnia or another sleep disorder, you probably have a pretty good idea of all the different options out there that may not have been effective for you in the past. To conduct this study, the researchers followed 79 people with different variations of chronic insomnia—all of which were split up to participate in sleep retraining and other Insomnia treatments. In the end, the study showed that those in the sleep training groups increased the duration of their sleep—although all the methods came close when it came to their overall effectiveness. To summarize, these two studies target people with chronic Insomnia. Together they show that sleep training is helpful, although there are other effective ways to improve your sleep. The THIM smart ring specifically uses sleep training to condition your body to fall asleep and stay asleep. The studies show that the sleep training process the THIM uses is effective, but it doesn't mean it's a one size fits all for everyone. The Power nap is something we are all too familiar with—but did you know that 10 minutes was the perfect amount of time for a power nap. I'd be lying if I said I didn't know this, but somehow my “power naps” are always at least 20 minutes long—which is why I always wake up feeling groggy. The THIM website goes over research concerning the perfect power nap, and it shows that ten minutes will improve your physical and mental performance. But a ten-minute nap is hard to do on your own—which is where the THIM ring comes in. One of the best features of THIM ring—when compared to other sleep trackers or to simply using an alarm—is that it's designed to give you the perfect power nap. It senses when you're asleep, and it won't start counting down until you are in your first stage of sleep. This lets you get 10 minutes of quality asleep, and when you wake up, you feel refreshed and ready to go. As you have seen, the THIM device can help you get a better night's sleep—but is it right for you? While this is a question only you can answer at the end of the day, there are still several different things you should look at. First and foremost, what are your needs and how does it compare to other sleep tracker rings out there—like the Oura and the Motiv. The biggest difference between the THIM and the Oura and the Motiv is that the THIM is designed to be worn only when you sleep and when you nap. It methodically wakes you up during your first hour of sleep to condition your body to fall asleep faster and stay asleep longer. And, while it does track your sleep and let you revisit that data, sleep is the only thing it monitors. On the other hand, the Motive and the Oura rings are designed to be worn throughout the day and track much more and just sleep. 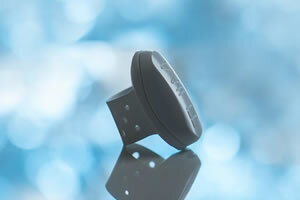 The Motive, specifically, is considered a fitness tracker that also tracks your sleep data and the Oura ring is an activity tracker that is sleep-specific. Unlike the THIM sleep ring, these two track additional data like your heart rate and breathing, to name a few. 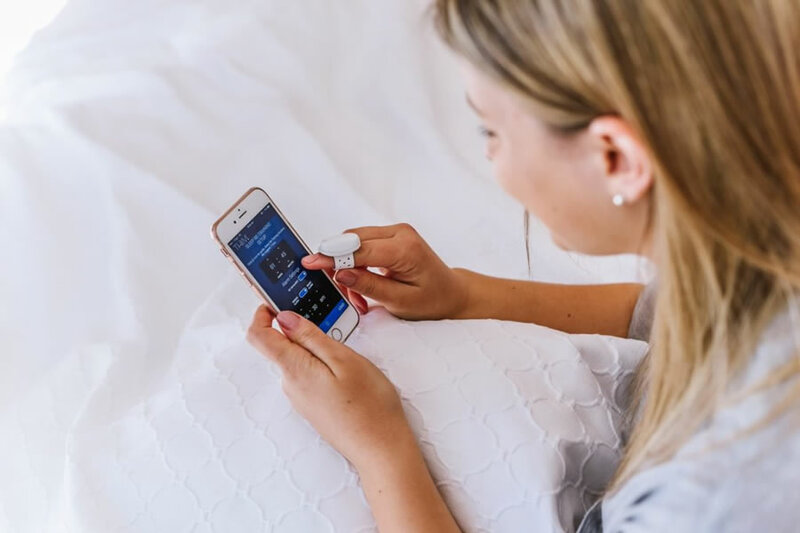 So, before deciding whether the THIM is right for you, make sure to compare it to other sleep trackers and see whether it fits what you are looking for. If you need to train your body to sleep better, THIM is great, but if you want an activity tracker—or any other data—THIM won't do that for you. As of now, you can only buy the THIM smart ring directly from their website for $199, although it's sometimes available on its crowdfunding page for a little less. $199 may seem a little pricey, but that's standard for sleep trackers—you will see some others out there that are much more expensive. The important thing to look at here is whether THIM will work for you. If you need to teach your body to sleep better or want to learn to Power nap effectively, then you will find the THIM smart ring is well-worth the long-term investment. However, if you're looking for a stylish sleep wearable device to track your daily activity, this won't be a suitable option for you. VERDICT – Is Thim Worth to Buy? In the end, the THIM smart ring is a great option if you're looking for something that'll help you learn to sleep better. So, if you struggle to fall asleep the THIM ring will work with you to fix that. Like any product, there's no guarantee it will work the same for you—after all, if there were a “one size fits all” solution there wouldn't be so many sleep devices. However, it's been effective for others, the question you need to ask yourself is whether it'll be effective for you.